New York Institute of Technology (also known as NYIT) is a global private, independent, nonprofit, non-sectarian, coeducational research university. NYIT has five schools and two colleges, all with a strong emphasis on technology and applied scientific research: School of Architecture and Design, School of Education, School of Engineering and Computing Sciences, School of Health Professions, School of Management, College of Arts and Sciences and College of Osteopathic Medicine. The university has two New York campuses, one in Old Westbury Long Island and one near Columbus Circle in Manhattan, as well as several global campuses in: Abu Dhabi, United Arab Emirates; Nanjing, China; and Vancouver, Canada. 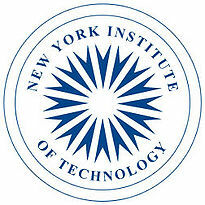 New York Institute of Technology (NYIT) offers over 90 degree programs, including undergraduate, graduate, and professional degrees, in more than 50 fields of study, including architecture and design; arts and sciences; education; engineering and computing sciences; health professions; management; and osteopathic medicine. Its Carnegie Classification is Masters-Granting (Doctorate-Granting through New York Institute of Technology College of Osteopathic Medicine) "Research University," very high research activity.